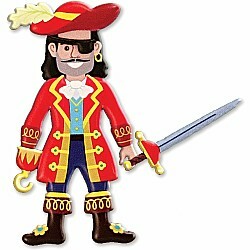 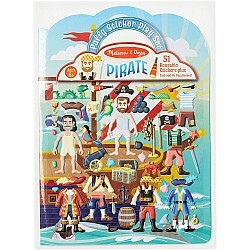 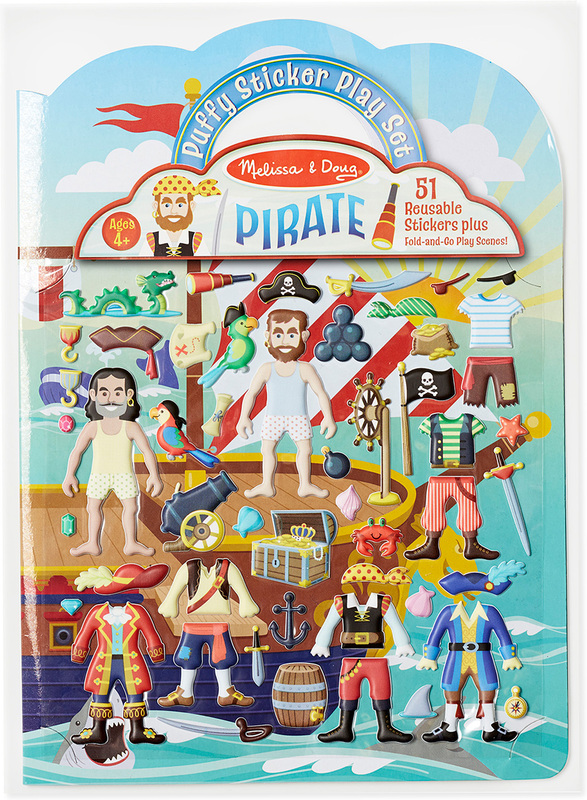 These reusable puffy stickers are filled with swashbuckling appeal! 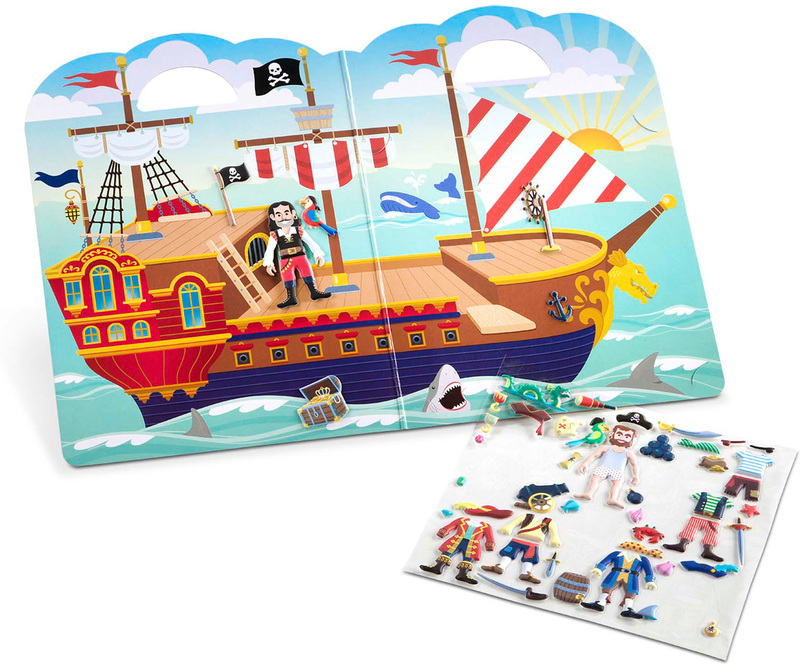 Pick your pirate stickers and layer on some seaworthy duds to build your characters and launch a tale of peril and adventure. 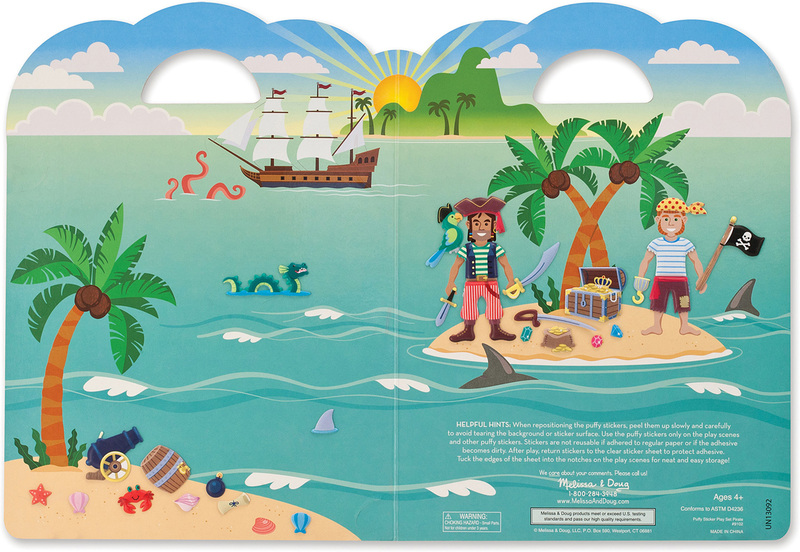 It's easy to keep the story sailing at a thrilling clip: Just layer the puffy stickers onto the double-sided background board to fill a pirate ship or desert island with buccaneers, then add treasure, sea creatures, hooks, cutlasses, daggers, and more to fill in the scene. 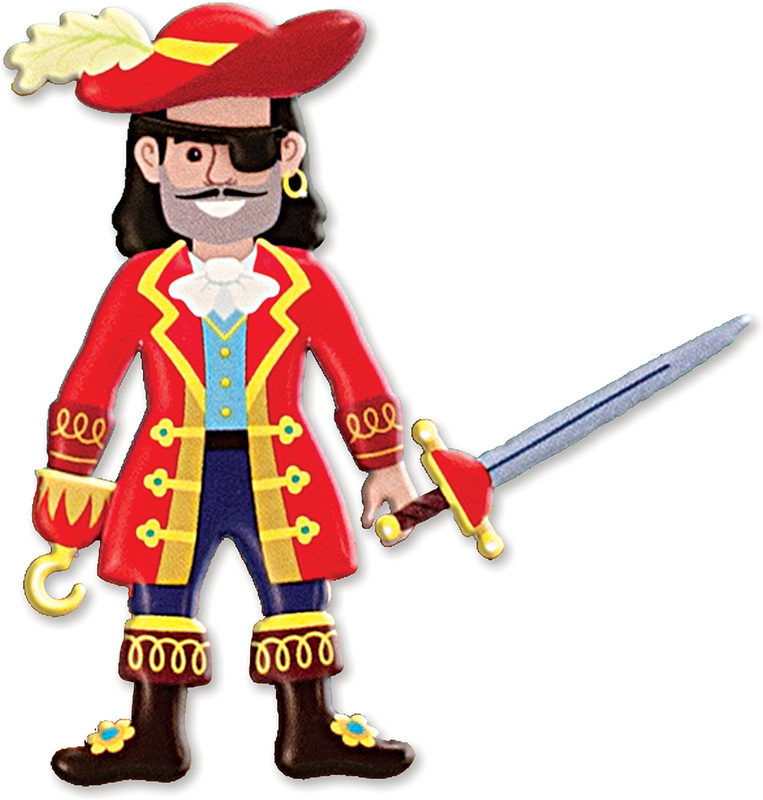 Ready to jive-ho? 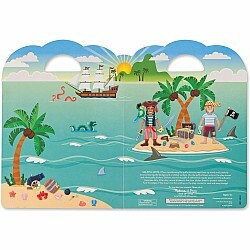 It's easy to lift, switch, layer, and rearrange it all to depict whatever pirate adventures a child can imagine! 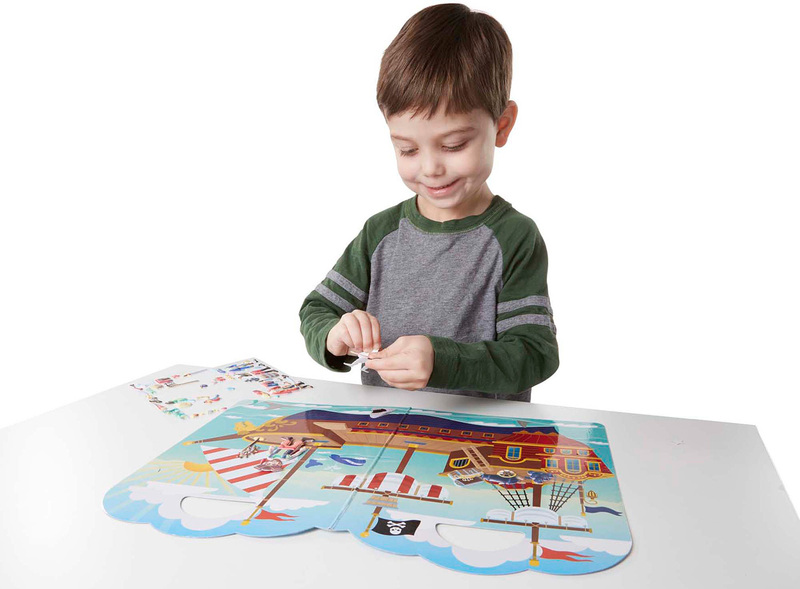 A built-in sticker collection-51 reusable puffy stickers in all-offers endless opportunities for kids to express their creativity and have lots of pretend-play fun, all while improving fine motor skills and communication. 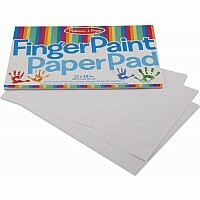 It's great for travel, too: The sturdy background board (with built-in handle!) 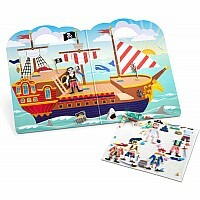 folds to neatly store it all away. Measures approximately: 0.20 x 8.75 x 11.00 inches..